If you’re looking for a career in sport, why not consider becoming a sports director? Many schools and colleges nowadays employ sports directors to take care of their sporting activities and everything involving sport. Such a sports director runs the sports department of the school or college as a full-time job and in general gets paid a good market-related salary. To get a good feel for what the job of sports director entails, you should spend a few days job shadowing the sports director of your school or of a school/college near you. Leadership – taking responsibility for everything related to sport. A sport director doesn’t necessarily do everything; he or she for example has a team that assists with the upkeep of the fields and someone who helps with the admin and public relations. It is a leadership role. Budget – managing the school’s sport budget. This includes allocating money for coaches’ salaries, travelling costs for the various sports teams, buying sports equipment and clothing, and maintaining the school’s sports fields, among others. A sports director reports back to the school board on what was spent, how, when and why and is held accountable for financial management of the sports department. Operations – looking after the day-to-day running of the schools sport programme. This includes getting coaches and working with coaches to schedule games and practices; deciding on tours, conferences and leagues and so on. Coordinating trips and organising festivals is part and parcel of sports directors’ tasks. They also coordinate officials and umpires at games (and budget for their pay) and have to ensure that the school and its learners obey rules and regulations. Public relations – maintaining good relationships with parents, sporting bodies, media and community so that the sports events are well attended and the school receives sponsorships and other support from the community it serves. Ensuring performance – keeping an eye on every team and individual that represents the school, regardless of the type of sport or level. A sports director reports on the performance of teams and individuals and recommends appropriate action: where there is success, celebration; where there is failure, a plan of action to improve shortcomings. Personality requirements: You need to be an organized person, have leadership qualities, enjoy sports, get along well with people, and have lots of energy. Training requirements: Any post-school qualification, preferably a sports qualification. 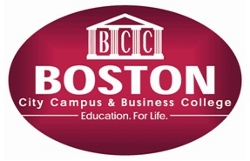 Boston City Campus & Business College offers the sports administration FET certificate on NQF Level 4. The course includes modules such as the sociology of sport, sports medicine and injuries, club management and administration, sports psychology, sports nutrition, sports marketing and sponsorship, and sports event management. Learners are also trained in First Aid and CPR. Boston also offers short learning programmes in football coaching and administration and in sports club management. They teach basics about managing sport clubs and teams, sports injuries and sports psychology, and can be done via correspondence. Well-known personalities like Piet Botha (Border cricketer), Norrie Williamson (sports writer), Dane Klate (Orlando pirates and SA player), Lefa Tsutsulupa (Moroka Swallows captain) and Helen Flemming (SA rowing), Molefi ‘Shoes’ Makati (webmaster for Orlando Pirates) are among those who made a name for themselves in sport and have studied sport through Boston.